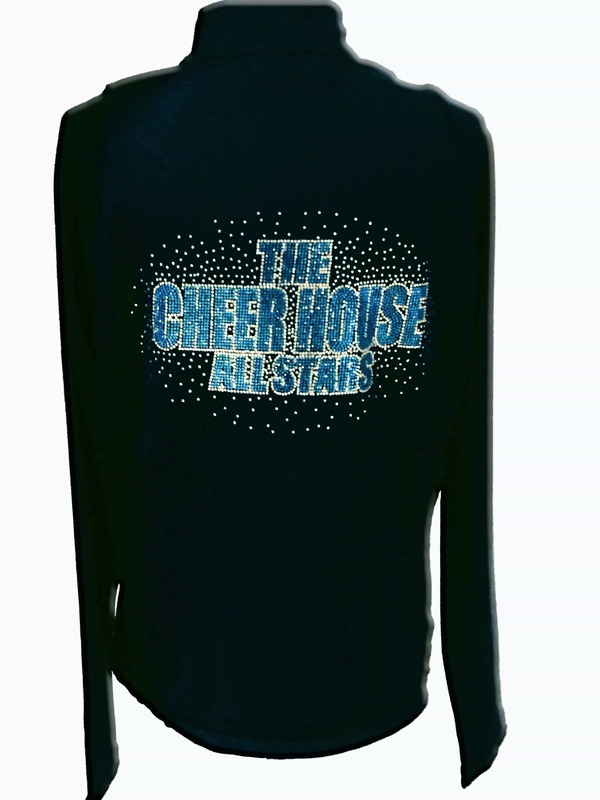 Beautiful cheer team jackets by Crystallized Couture for The Cheer House All-Stars. Do you need varsity cheer jackets for your cheer team? We can help design jackets for your varsity cheer team as well as complete warm ups! 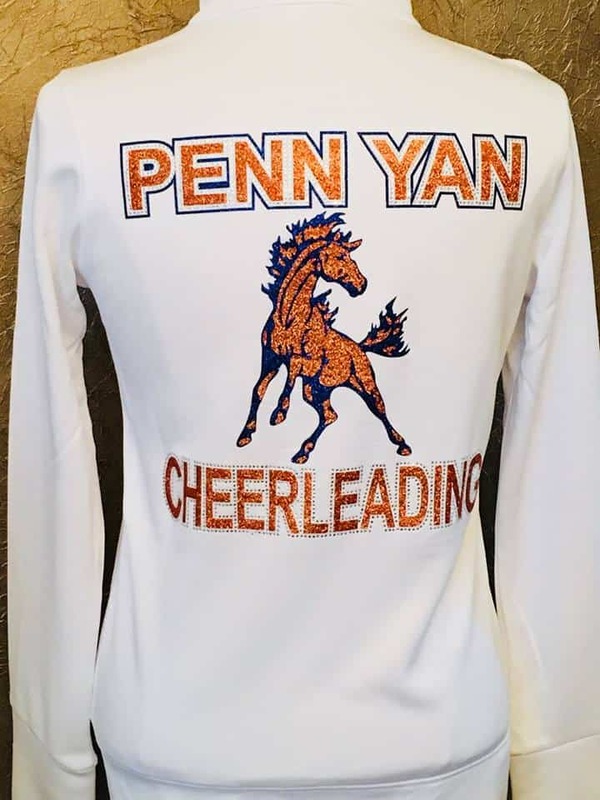 Crystallized Couture can be your trusted cheer wear apparel company, working with your cheer team to create shirts, jackets, hoodies & more to outfit all the members of their team as well as their moms. We will work with you during the design process to make sure that your logo, and the look of the jacket or apparel is exactly what you want. We will not print the designs to be placed on the items until it has been approved by you or the team members. It is important to Crystallized Couture that every article of cheer clothing we create has the highest quality of rhinestones, material, and work put into that piece. To look at some different styles and colors of jackets we provide, you can view them here. We have worked with Cheer Teams across the country from the beginning with Pop Warner to Varsity High School teams, College Cheer Teams, and Competitive Cheer squads. We will work with you to make sure the cheer jackets and warm-ups we design for your team is exactly what you want. We will customize with rhinestones, glitter, or sequins to make your varsity team stand out from your competition. West Ottawa Cheer warm up jacket.